The 2015 river cleanup has been scheduled for October 24. Click on the image to download the event flyer with directions. 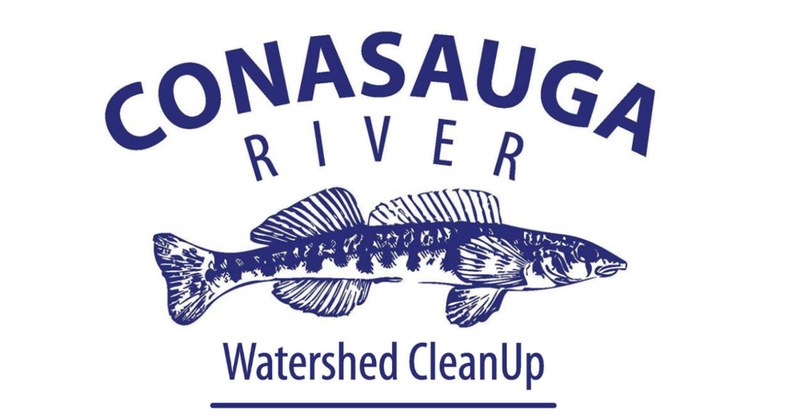 (Dalton, GA, September 24, 2015) – Whitfield County and Murray County residents are invited to participate in the 21st Annual Conasauga Watershed Clean-up event on Saturday, October 24, 2015 to help keep local waterways clean. As one of the largest local volunteer events in the community the annual Conasauga River cleanup is hosted in partnership with several local non-profits, businesses, and environmental organizations during United Way’s Make a Difference Day. Last year 360 volunteers picked up and removed 10,630 pounds of garbage from seven locations. Be a part of the tradition next month when you join many other volunteers to help clean-up the Conasauga. One of the six most biologically diverse freshwater river systems in the United States, the Conasauga River supports 24 endangered species and a dozen other imperiled species, including the Southern Pigtoe mussel and the Conasauga logperch, a fish found nowhere else in the world. Participants are encouraged to arrive a few minutes before 9:00 am for registration. Volunteers can expect to spend a couple of hours in the morning picking up trash and, depending on the location, removing invasive plants like Chinese privet. Volunteers should wear sturdy shoes or boots, long pants, and long sleeve shirts. Gloves, and trash bags will be provided at each site. At least the first 250 will receive a free t-shirt with this year’s river cleanup logo from Rivers Alive, and another promo item as a thank you for participating. Sponsors include: Shaw Industries, J+J Industries, Dalton Utilities, Conasauga River Alliance, Modern Woodmen of America / Shell Underwood, The Nature Conservancy, Dalton-Whitfield Solid Waste Authority, and Whitfield County Public Works. (Dalton, GA, October 18, 2014) – Be a part of the local tradition on Saturday, October 25 when you join other volunteers in cleaning up the Conasauga Watershed. Registration opens at 9:00 am at each of the seven clean up sites located in Whitfield and Murray Counties. Choose a site and enjoy some muddy merriment as you serve your community and help care for our area’s beautiful streams and river! The 20th Annual Conasauga Watershed Clean-up is held in conjunction with Northwest Georgia United Way’s Make A Difference Day and Georgia’s Annual Waterway Clean-Up, Rivers Alive. The first 250 volunteers will receive a free shirt, and a limited number of Conasauga calendars or Conasauga coffee mugs will also be available. Sturdy shoes or boots, gloves, long pants, and long sleeved shirts are recommended. Hip or chest waders are useful, but are not required. Trash bags and other supplies will be provided. SPONSORS: Shaw Industries, J&J Industries, Dalton Utilities, Dalton-Whitfield Georgia Rivers Alive, Regional Solid Waste Management Authority (DWRSWMA), The Nature Conservancy (TNC), and the Conasauga River Alliance (CRA). COORDINATORS: Carpet & Rug Institute, CRA, Dalton State College, Dalton Utilities, DWRSWMA, Keep Chatsworth-Murray Beautiful, Keep Dalton-Whitfield Beautiful, Limestone Valley RC & D, TNC, and Murray County Extension. For additional information, please contact John Lugthart at jlugthart@daltonstate.edu, or 706-272-2485. To download the event flier with directions visit www.keepdaltonwhitfieldbeautiful.org.